GOLD FEATHERS. ADVENTURES, INSPIRATION, AND OTHER LOVELY THINGS. 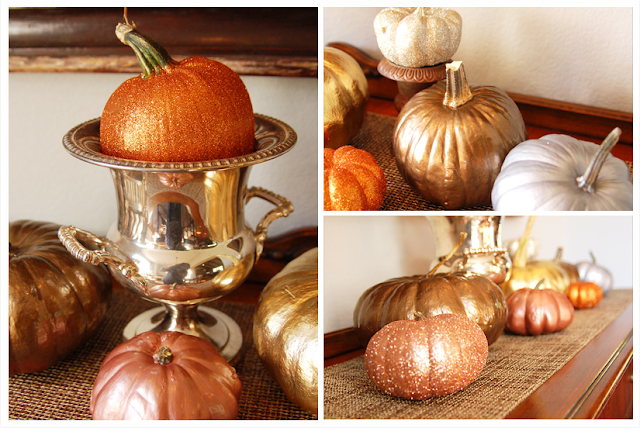 : glam pumpkins. i'm jealous! i have to admit, carving isn't my favorite. will's pumpkin this year - "this is a stickup!" 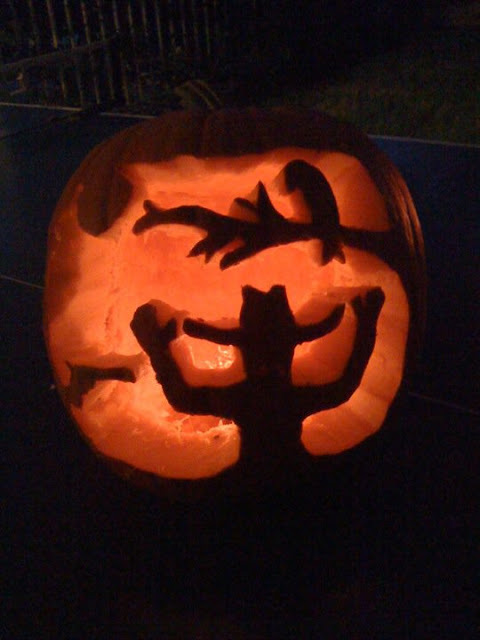 see will's magnificently creative past pumpkins here and here. we have 2 more pumpkins to carve. or paint. or gluegun. this was a good one, i tag teamed it with my bro in law jason. You can't find a pumpkin here to carve for less than $20.00! Crazy!! BOO! a halloween playlist for you. DUCT TAPE SKELETON COSTUME TUTORIAL. good song for a good day.